Los Angeles Spinal Cord Injury Lawyer | Injury Attorney L.A.
You may be surprised to find that even small accidents like a trip, slip, or fall can result in a spinal cord injury. The most common accidents that result in spinal cord trauma include vehicular, construction, motorcycle, and bicycle accidents and sports-related injuries. Contact sports and car accidents are common scenes of spinal cord injuries, but even an infected tooth, a fall from a ladder, or slip in the tub can cause a spinal cord injury. A spinal cord injury involves the compression or severing of the nerves contained in the spinal cord. This can happen by landing on your back, having your legs forcefully thrust over your head (as in contact sports injuries), or when a vertebra in the spine is injured or broken, and generates pressure on the nerve bundles protected within. If an accident occurs and you suspect a spinal cord injury, DO NOT MOVE THE VICITIM. Moving a spinal cord accident victim can severe a compressed cord, worsen nerve damage, or even lead to an inability to breathe without assistance (artificial respirations like those done in CPR or by a ventilator). The only acceptable reason to move a spinal cord injury patient would be to begin CPR or to remove them from the direct path of harm, such as in heavy traffic or a fire. If you must move an injured person, call for assistance and have several people support the head, neck, back, and legs of the injured person while you roll them onto their back. Make the movement fluid and stiff, as if you are rolling a log, trying to keep the person’s spine as straight as possible. Call for help and apply pressure over any bleeding wounds. Begin CPR if necessary and cover the person with a warm blanket to help counter the effects of shock. What Injuries Might Occur During a Spinal Cord Accident? Documentation regarding a spinal cord accident is crucial. Because spinal cord injuries are often permanent, many spinal cord injury cases involve personally injury claims to make restitution for the severe lifestyle and health changes caused by such a serious injury. Ask all persons dealing with your accident to thoroughly document every detail of the accident scene and your injuries to ensure that you get the proof you need to win your spinal cord accident personal injury lawsuit. 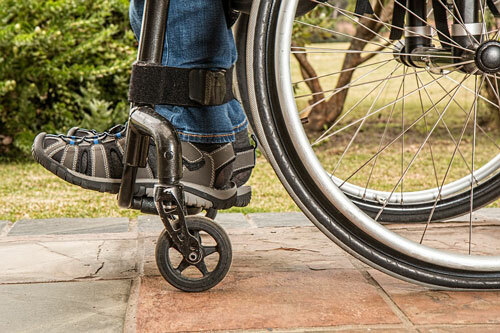 Spinal cord injuries can be particularly devastating to an individual. These types of injuries often significantly impact a person’s life, and may prevent a person from being able to care for himself or herself or live independently for the rest of their lives. Since personal injury cases often involve spinal cord injuries, Nagelberg Bernard Law Group has provided some commonly asked questions and answers about spinal cord injuries. 1Q: Are all spinal cord injuries permanent? A: No. Some spinal cord injuries can be repaired, and some patients are able to regain some functionality through extensive physical and occupational therapy. New treatments are produced every year to help spinal cord injury patients obtain a higher level of functionality. However, many spinal injuries are permanent and only a medical doctor can make that determination in each individual case. 2Q: Do all spinal cord injuries result in paralysis and numbness? A: No. Some patients retain limited movement and feeling, or they may experience a type of neuropathy that feels like the lower extremities are “on pins and needles” all the time. 3Q: What are some common complications following a spinal cord injury? A: Many spinal cord injury patients battle pressure ulcers, or bedsores, from decreased circulation and feeling, and the constant weight of the body over bony prominences. In a healthy person, pressure over these areas causes pain and they shift their weight or turn over in bed to restore circulation. In a spinal cord injury patient, the pain sensation is decreased, delayed, or blocked from reaching the brain, and turning over in bed may be difficult or impossible without assistance. Other common complications are bladder and kidney infections. Because many spinal cord injuries affect a person’s ability to urinate, a small tube is often inserted into the bladder to empty it of urine. This can lead to infection or kidney problems related to this alteration in the urinary process. 4Q: I’ve been told my spinal injury is “incomplete”, what does this mean? A: An incomplete spinal cord injury means that the spinal cord is still intact (not severed) but has been damaged. Sometimes this is described as bending an electrical cord in half so that some of the wires are unable to fully conduct an electrical current. Your spinal cord is part of the nervous system and operates similarly to electrical wiring- it conducts nerve impulses between the brain and the body. 5Q: Why is the location of my injury on the spinal cord important? A: The spinal cord is similar to a tree in that it has a main trunk of nerve fibers protected by the vertebrae (bones) along your spine, with many branches of nerves shooting off to the sides to communicate with various parts of the body. These nerve fibers act as a super-highway for information to travel between the brain and the body. If there is a break in the highway (your spinal cord), sensory information is cut off from any areas of the body below the point of injury and transmissions from the brain to those areas cannot reach their destination. This why the area of injury determines whether a person can walk, use their arms, or even breathe on their own. If you have questions about your spinal cord injury, or the injury of a loved one, please seek out the advice a medical professional. These questions and answers only provide a basic framework and may not be universally applicable. Medical advice is always best in these cases.